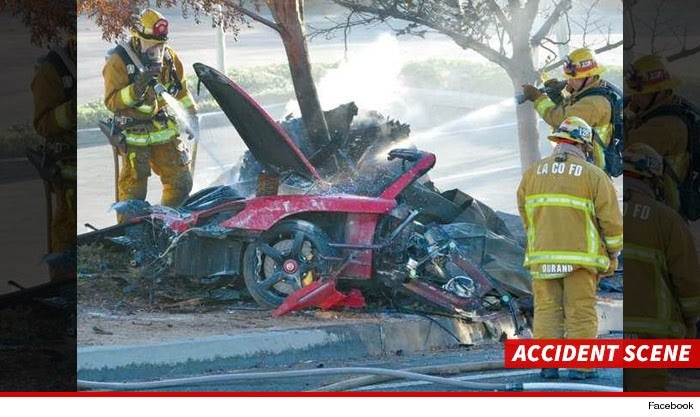 Paul Walker's body was burned so badly the coroner needs his dental records to identify the body. A rep for the L.A. County Coroner tells TMZ the bodies of Paul and his friend/business partner Roger Rodas are currently unidentifiable and their autopsies will be delayed until later this week. We're told the coroner is waiting on both sets of dental records before proceeding. The two also joined forces to create the "Reach Out World Wide" Foundation to help disaster relief in other countries and as mentioned in my previous post, the group was behind yesterday's fundraiser for typhoon relief in Santa Clarita. Paul's rep says Roger and Paul were leaving the event when they wrecked. Rodas was 38 years old while Paul was 40. The exotic sports car in which Paul Walker violently died, crashed as a result of mechanical failure -- very possibly a steering fluid leak ... this according to sources closely tied to the auto shop where the vehicle was stored and maintained. Sources connected to Always Evolving the shop co-owned by Walker and the Porsche driver Roger Rodas tells TMZ they saw evidence of a fluid burst and subsequent fluid trail before the skid marks at the accident scene. Also suspicious -- the fire spreading so quickly in the front of the car. The sources say flames would be expected in the rear where the engine is but fire in the front reinforces their theory of a fluid leak of some sort. We're told the $500,000 Carrera GT was NOT modified and was driven rarely so they believe any failure must be a factory defect. As one source put it "Roger was a world class driver" and while he might have been speeding (as cops have said) the notion he just lost control is preposterous. 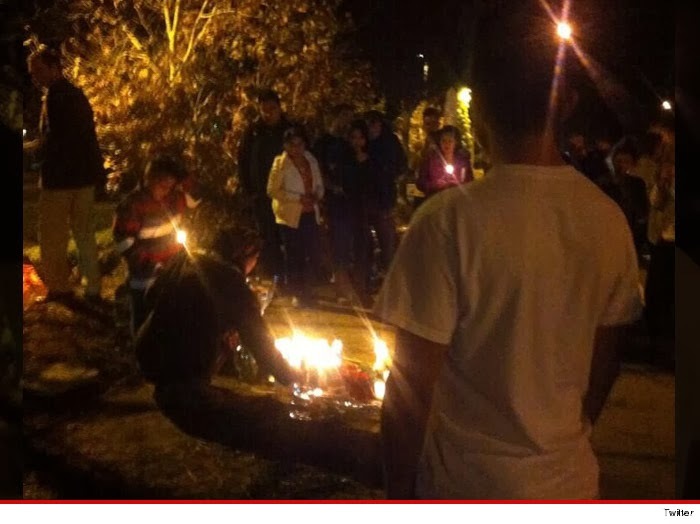 Meanwhile, Paul Walker fans paid tribute to the 40-year old actor last night by holding a candlelight vigil on the site where he died. The fans showed up in Santa Clarita Saturday evening leaving flowers and lighting candles in Paul's memory. The vigil was held very shortly after law enforcement cleared the scene removing the bodies of Paul and the driver Roger Rodas as well as the charred wreckage of Roger's Porsche Carrera GT. More heartrending details shows that Paul Walker may not have ever gotten into the car that took him to his death if it hadn't been acting up moments before the crash. Paul showed up Saturday for a fundraiser at ALWAYS EVOLVING, Roger Rodas' high end auto shop that specializes in exotic cars. Paul had a stake in the shop. Sources connected to Roger states that when Paul arrived Roger was watching one of his employees try in vain to back the Carrera GT into the shop, but it kept stalling. Roger decided to take matters into his own hands told the worker to get out and took the wheel himself. As Roger began to back into the garage, Paul came up and said he hadn't driven in the Porsche yet so he jumped in the passenger seat and they took a 20 minute drive. The fatal accident happened on the way back from that drive just 500 yards from the shop. Paul's best friend from childhood, Nute, grabbed a fire extinguisher and was among the first to arrive on scene. We're told Nute frantically tried to extinguish the flames ... even though it appeared to him both men were already dead. When the fire dept arrived they tried to pull Nute away, but he was overwrought and punched a firefighter. We're told Sheriff's deputies put Nute and several other of Paul and Roger's friends in custody, but let them go when they realized the circumstances.